Williams builds and maintains energy infrastructure. Part of their work includes operating and maintaining pipelines for natural gas. Gas crosses hundreds, often thousands of miles from the extraction sites to their final destinations. To move it along pipelines, Williams funnels natural gas into enormous engines called compressors. Once the gas is pressurized, it moves around 25 miles per hour down the pipelines to people’s homes. Keeping these compressors safe requires regular maintenance and check-ups from technicians. 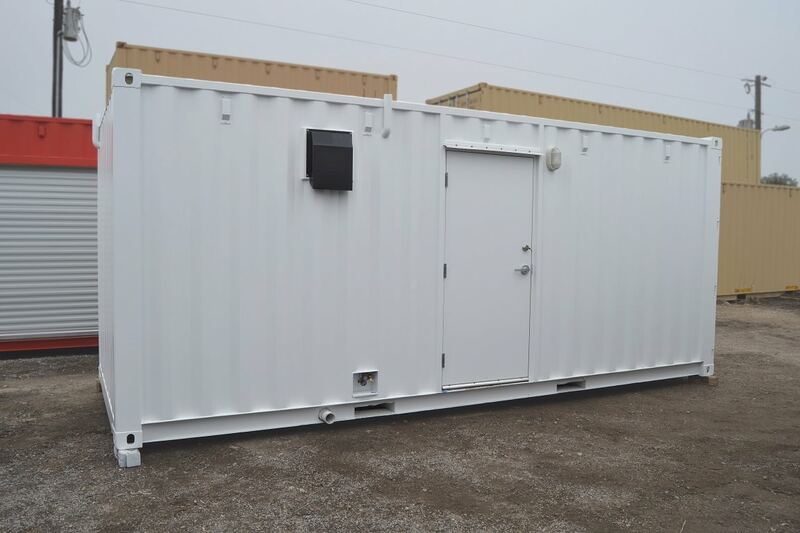 However, because compressor stations are usually placed in remote locations, energy companies like Williams rely on portable support structures like trailers and portable toilets. Needless to say, coming to work every day and using a porta-potty gets old for employees - fast. The structure could not include lumber. While Williams doesn’t have immediate plans to relocate the locker room, the business preferred to invest in a structure that could be picked up and redeployed. A shipping container locker room built out with metal studs and walls fit the bill. 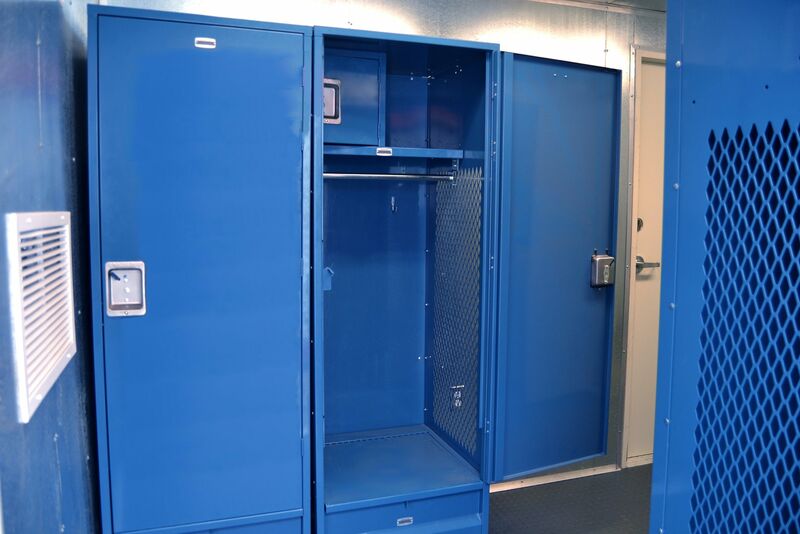 Alongside Williams’ preferred lockers with lockboxes, the locker room includes a high-powered air conditioning system and a shower. Employees get a place to shower, change, and store cold-weather gear. Williams boosted morale and made their business a better place to work. Williams created a long-term solution that can be relocated in the future. 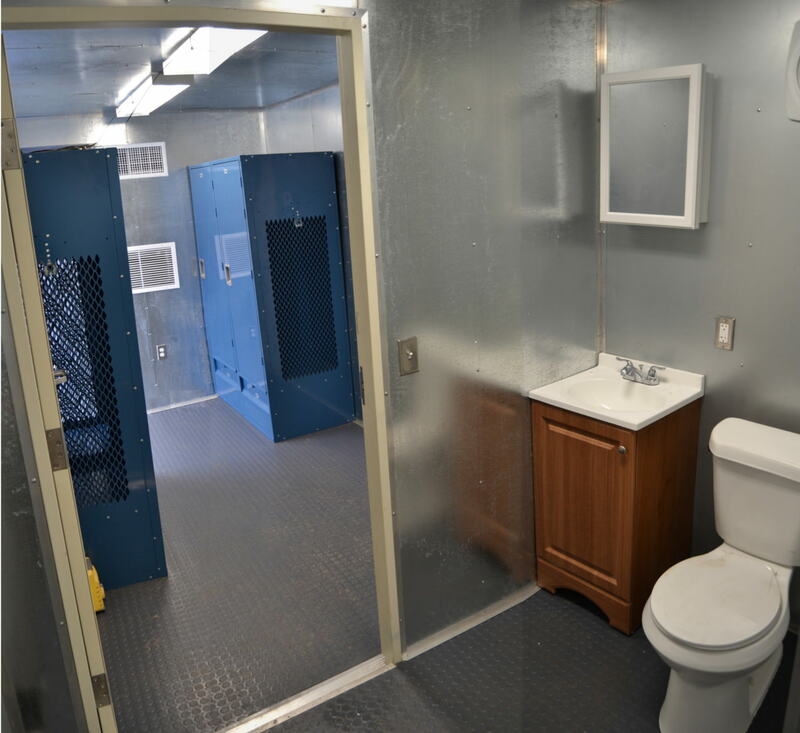 A dual-gender restroom building for remote oilfields. Our standard 40-foot locker room floor plan. Williams is an energy infrastructure company focused on connecting North America’s significant hydrocarbon resource plays to growing markets for natural gas and natural gas liquids (NGLs). Williams’ interstate gas pipeline and gathering & processing operations span the United States, including strategic assets in the deepwater Gulf of Mexico, the Rockies, the Pacific Northwest and the Eastern Seaboard.